We are experts in identifying, selecting and recruiting skilled professionals across the IT and Digital spectrum. We have extensive UK wide experience and a proven track record operating across all sectors. Our ethos is simple: we work closely with our clients to provide an expert consultative service that fulfils your requirements and adds value to your business. Whether you’re looking for a niche skill-set crucial to a project, an interim solution, or a long-term expert contractor, our extensive network of skilled contract and freelance professionals can provide a solution. We understand the importance of the perfect hire, so we apply a rigorous selection and testing process before putting candidates forward. With a 98% client satisfaction rate and a 100% candidate return rate, there are multiple reasons why we’re the best choice for your IT and Digital recruitment. We understand that no requirement is the same, and so we tailor our services to meet your individual needs. Our recruiters are highly trained specialists in their sector, ensuring they understand every detail of your requirement and find the best solutions for your hires. We have streamlined sourcing methods and over 100,000 rigorously screened and qualified candidates in our database to find the best person for the position. We believe strong business relationships create better results so we take a personal approach to recruiting. You’ll receive a high level of service from your own dedicated consultant who will get to know your business and requirements. The cost implications of a bad hire can be substantial. Our rigorous process ensures you make the right hire first time around, saving you money and time. Having worked with IT Talent on many occasions I can recommend them highly. I have worked with Ben from IT Talent for a number of years and found the quality of his candidates to be second to none. It is refreshing to have a recruitment agency like IT Talent that really make the effort to meet and understand their client base and provide high calibre candidates.  My experience with recruitment agencies is so often a case of CV firing battles but IT Talent always take the time to fully consult with us and far exceeded our expectations across all areas of their service. IT Talent’s level of customer service has made them a pleasure to work with. They are an organisation with good communication skills which I have found invaluable in today’s marketplace. IT Talent have acted professionally throughout and their staff have been most approachable and friendly to deal with. IT Talent have been highly effective in providing a list of suitable candidates that matched the required skillset for the post concerned. I have found contracts to be drawn up very quickly and efficiently, and I was particularly impressed, from a management point of view, with the ease and speed of approving contractor timesheets and expenses via the web. I have been working with IT Talent for the past three years. I get ‘bothered’ by lots of different recruitment companies who promise the world and consistently under deliver, but not IT Talent. They have a fantastic approach to understanding my requirements, which always goes deeper than just the technical skills that I’m looking for. This really makes the difference to me personally, as I don’t get lots of resumes that fit my business culture, something that is critical for me and my business. If you’re looking to fill a role, use the form below to give us the basic information about your vacancy. We’ll be in touch to fully qualify it and discuss the recruitment process. Alternatively, give us a call on 0207 220 1600 (for London roles) or 01189 526 060 (rest of UK) to discuss your role now.